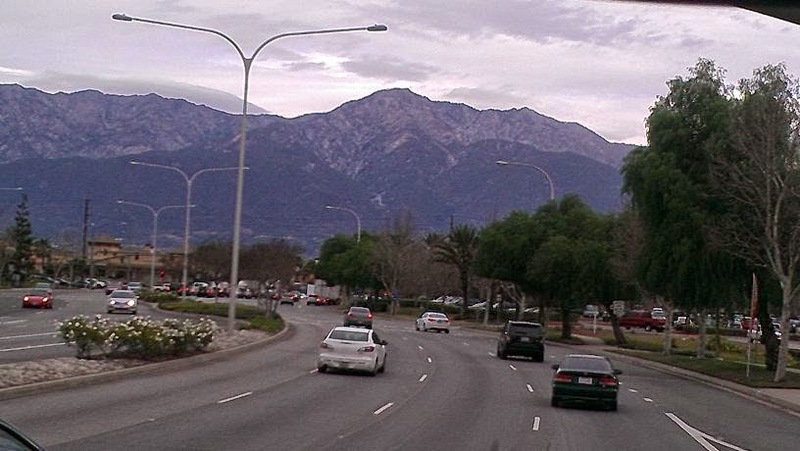 A quick snapshot of the mountains above the Ontario Mills Mall that we visited earlier this week. The foothills are only about 3 miles North of the mall. Our LA area truckstop, our home all this week, is only a mile South of this pic. 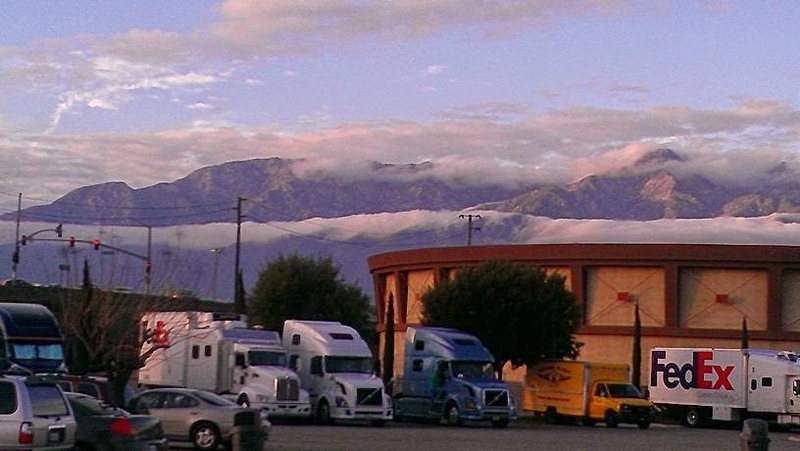 The same mountains, taken just after dinner this evening, from the truckstop parking lot. Notice the thick band of clouds about halfway down the hillside, and the hilltops are cloud covered, too. The round structure in the right side of the pic is one of two watertanks that supply the area. 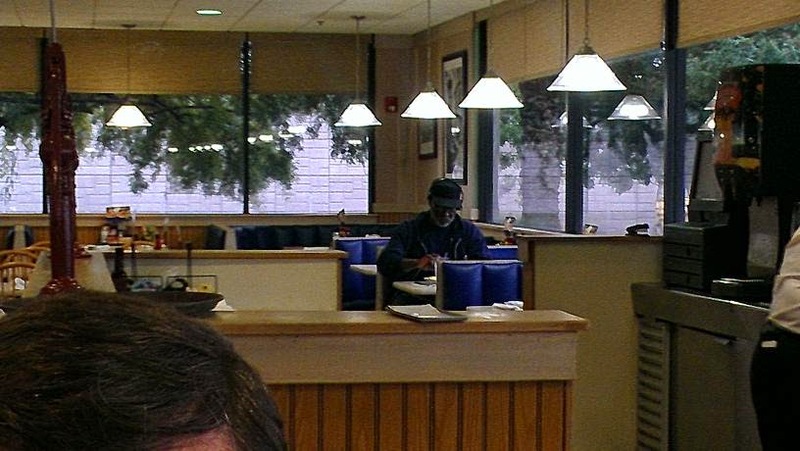 I'm too tired to crop this pic and clean it up, but I thought the lone trucker in the corner of the restaurant was moving. I also like the bright lights against the windows and the trees showing through. Ok, I'm not very articulate tonight, either. 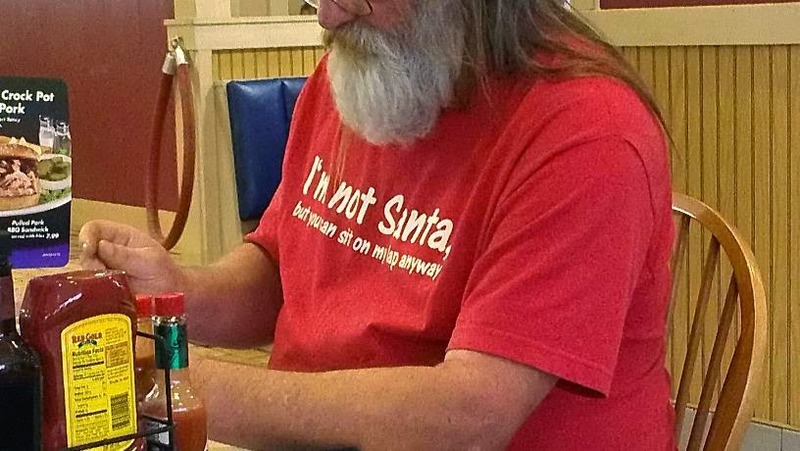 The T-shirt says "I'm not Santa, but you can sit on my lap anyway". Never happenin', longhaired stained beard man. Never happenin'. His companion was a younger, darker version, wearing a filthy flannel overshirt. Ewww.